There are many ways to approach magic. This was my magic journey. A look into the creative process when I was beginning magic. My experience with AAA became a blue print for later success. I learned the importance of thinking things through. What Do I want to accomplish? Who am I working for? What will my audience respond to? Try things out. Let the audience tell me what is good. Is the show practical for the venues I will be working in? Working day after day for a live audience was the best training that I could get. 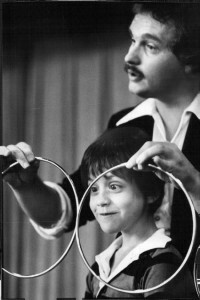 The best way to look at the construction of a beginning magic show is to look at my own experience in constructing a corporately sponsored magic show that ran five seasons. I knew the minute I was hired by AAA to perform a safety themed magic show that my approach would not be to make it a “Kiddie Show”. This came from my own experiences as a child watching and falling in love with magic. I clearly remember being an 8 year old child in Salt Lake City attending 2 school magic assemblies. In the first assembly the magician rolled up a newspaper ripped the edges and then pulling out the center made it look like a tree. While this satisfied many of my friends I thought big deal, that’s not magic. (Remember these were the thoughts of a 9 year old child, today I have room for many approaches to magic) Later that same year another magician performed (2 magicians in one year, WOW). This one wore tails, made liquids change color at his command and then caused a metal ball to float beneath a cloth apparently at his mental command. Now that was a magician! You see this performer matched the image of what I was seeing on television. 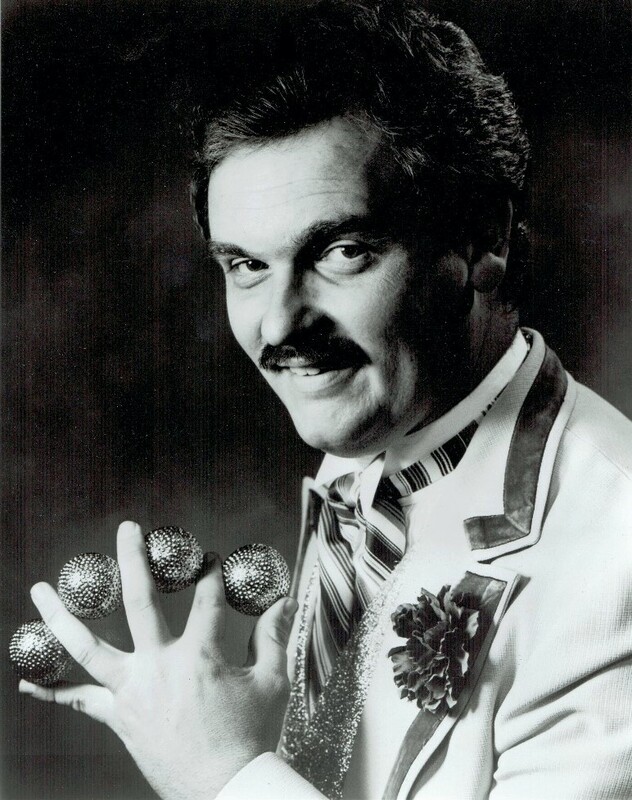 In the early 1960’s there were not a lot of sources for magicians on television. The big one, the cream of the crop, the show that said, “I have arrived and I am in the big time” was The Ed Sullivan Show. The second magician matched what I was seeing on TV. More then that his magic was that any adult could enjoy. This memory clearly influenced what I was to do in the coming years. My first approach was to write a script. This was magic with a message. In keeping with my own philosophy of life my approach was to put entertainment first and sneak the message in (Thank you Walt Disney). Ironically my first decision was to list the things I wanted to teach, the rules of bicycle and pedestrian safety. I then matched each rule with a magic trick that was large and visual. Visual magic has always been important to me. I like to hit them between the eyes. I also decided that I would avoid kiddie magic. Anything I performed would need to fool and entertain the adults. Adults hire us. Adults have to watch the show too, why not make it fun for them. This is why I prefer the term family entertainer to children’s magician. Now it was time to put things in a logical order. Even back then I knew that the closing trick needed to be the strongest. What magic trick stuck with me from the time I was a child watching magic. The floating ball trick, which I now knew magicians called The Zombie. My second best trick needed to be my opener. I performed the linking rings. Other magic like stratosphere emphasized the colors of the stoplight. With script in hand rehearsal began. I actually convinced AAA to pay me for rehearsal time. I did not take advantage of them though. I actually found a small auditorium in the building a did my rehearsal there. This way management could look in on my progress and also give input. For the most part I was perfectly aligned with management on our approach. There was one problem Jim the big boss was obsessed with making the show more kiddie. I knew the magic would do this. He was a big fan of Oscar the Grouch. So without infringing on Sesame Street copyright he had the idea of adding a talking trash can with whom I could discuss safety. The plot went like this I opened with an Appearing Cane then segued to the Linking Ring trick at the end I tossed the rings in the trash can. The can suddenly came to life and lit up as an unseen resident explained I needed to be more careful. This allowed me to move into the educational part of the show. After 2 weeks of rehearsal we were ready to take the show on a test run. This idea came from my knowledge of Broadway plays. They are always taken out on the road and the kinks worked out. If it is good enough for Broadway it is certainly good enough for me. AAA had a complete mailing list for the schools so a letter was drafted and bookings started coming in. During this period it became apparent to me that I needed to punch up the comedy aspects of the show. I improvised and managed to develop a hand shaking routine using some physical comedy. It added a lot to the early stages of the show and became a hook that grabbed the children and never let them go. The refinement did not end there. In the middle of the season the gentleman who hired me left. I was very dismayed by 2 problems with the show. First it was clunky. It took 3 trips to haul all the equipment in (Yikes). I had a heavy wooden sponsorship sign, a steamer trunk with the magic and of course the talking trash can. This really hit home when I performed in Denver’s beautiful Dora Moore Elementary School. The auditorium was on the 3rd floor. No elevator! Thank heaven I was in my 20’s. Secondly children were viewing the trash can not as a device for narrative but as another magic trick and not a good magic trick. To me this weakened the show rather then strengthening it. After meeting with my new boss it was decided that we would leave the show the way it was and then tweak it in the second year. Also in the second year I would move the rings to the end of the show and I chose a magic trick that I had recently seen the great Doug Henning perform as my new opener. This was Gene Anderson’s version of the Torn and Restored Newspaper. (You can see this on my show video on my home page) Very magical! The Zombie was taken out of the show in the second year. It was strong trick when performed in many venues but in some it was perceived by children that I was using threads. It did not matter that this was untrue, my goal was to remove all plausible explanations. Was the show successful? Yes. 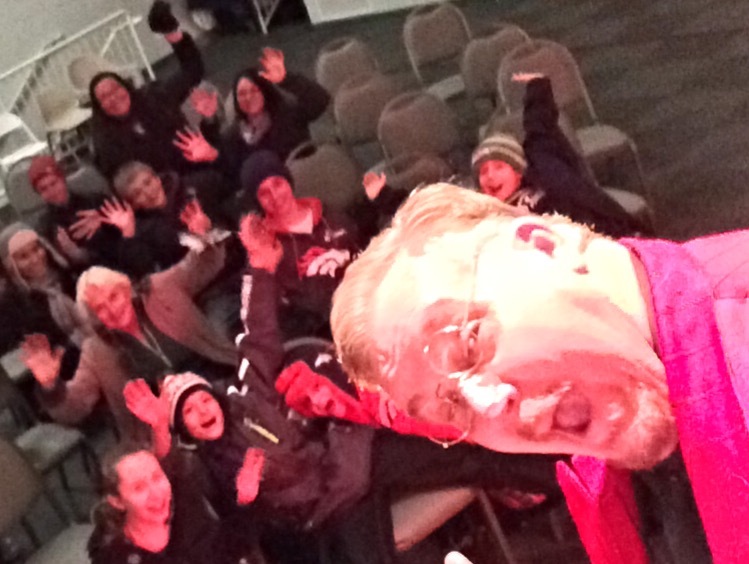 The Magic of Safety was seen across Colorado averaging 2 shows a day, five days a week. we calculated and approximately 200,000 children were weeing the show each year. But I realize now this was only the beginning. This is part 2 in a series of blog posts outlining my magic career and the events that shaped me. To see the first post in this series Click Here.